The railway line between Weymouth and Wareham has reopened after a two-day closure caused by a broken down engineering train. The specialised train was being used to replace a section of the track. 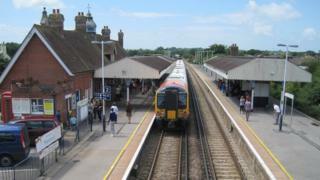 No trains were able to run between Weymouth and Wareham in either direction on Monday and Tuesday. South Western Railway said some services could be affected during Wednesday because trains were out of place. South Western Railway said: "Plans were put in place to move trains overnight to ensure minimal impact. "We're sorry for the disruption." The rail firm said passengers who were delayed by more than 15 minutes due to the disruption were entitled to compensation.